China’s spectacular economic progress has led some security analysts and policy makers to question Beijing’s intentions in other parts of the world. This paper examines the extent to which China’s engagement with Africa has produced mutual benefits for both and whether Africa is reaping the necessary benefits required for poverty alleviation and economic development. Owing to the changing nature of international conflict, the 1990s witnessed a growing need for humanitarian peacekeeping operations, especially in Africa. The reluctance of the United Nations to be involved in peacekeeping operations in Africa compelled South Africa to take part in peacekeeping to assist neighbouring conflict-ridden states. There is, however, a discrepancy between the conceptualisation and application of peacekeeping and peace-enforcement operations. Trade theorists recognize trade as a vital catalyst for national growth and overall development. Yet international trade can be one of the most hotly debated and contentious of political issues, both domestically and between governments. This study appraises the causes of disagreement among the combatants divided into developed and developing economies. Trade is an important source of growth in Nigeria and many developing countries. This is based on the implicit belief that trade creates jobs, expands markets, facilitates competition; disseminates knowledge and raises income both to individuals and government. This study examines the impact of trade liberalization on performance in the Nigerian economy, with special reference to agricultural and manufacturing sectors. Simultaneous models were developed to capture the joint effects of trade liberalization on the two sectors. This paper aims at investigating the main economic determinants that contribute to greenhouse gases emissions in Ethiopia. By applying the bounds testing approach, the long and short-run impacts of economic growth, trade openness, and industry on air pollution in Ethiopia are estimated. The data set used in the estimation process covers the period (1981-2013). The study also attempts to find out whether the Environmental Kuznets Curve (EKC) hypothesis applies to the Ethiopian economy or not. Results indicate that both trade liberalization and industry, when they interact together, have adverse impacts on the environment in Ethiopia. Furthermore, there are still no evidences to support the existence of EKC in Ethiopia. This paper examines the driving factors of import price of machineries and their pass-through in dynamics route. An assessment of the short-run and long-run between price of machineries and its driving indicators between 1981 and 2014 is carried out with a view to determining its pass-through, given the need to save domestic price against future exigencies. It makes use of unrestricted error correction mechanism and the bound testing approach to co integration in an autoregressive distributed lag framework proposed by Pesaran et al. (2001). Concentration of greenhouse gases (carbon dioxide, methane, nitrous oxide, and chlorofluorocarbons) in the air had been constant before the industrial revolution. And since that time, the level of the greenhouse gases in the atmosphere has increased significantly; due to the tremendous increase in world’s population and the huge expansion in the industrial sector around the world. Consequently, this phenomenon has caused severe global climate change that threatens all aspects of human’s life (Intergovernmental Panel on Climate Change (IPCC) 1990). This paper aims at investigating the main economic determinants that contribute to greenhouse gases emissions in Ethiopia. By applying the bounds testing approach, the long and short-run impacts of economic growth, trade openness, and industry on air pollution in Ethiopia are estimated. The Treaty of Lagos, creating the Economic Community of West African States (ECOWAS), represents the latest attempt in economic integration and regional development among West African states. Leaders of fifteen nations signed the treaty and thereby established the largest single economic union in all of Africa. The author of the following article maintains that the objective of ECOWAS-to foster a homogeneous society ultimately leading to the unity of West Africa through the elimination of all obstacles to the free movement of goods, capital and persons-offers a new hope for future development and stability within a region traditionally burdened by fragmentation and conflicting interests. The Economic Community of West African States (ECOWAS) was launched in Lagos on 28 May, 1975, amidst fanfare and big dreams of economic nirvana: economic integration, development and prosperity. The template for the institutional mechanisms and infrastructure for the realization of the dreams were encapsulated in the Treaty itself and the relevant Protocols. The legal and institutional framework presented a picture perfect structure which only needed concerted and focused action, to realize ECOWAS’ lofty goals and objectives. 37 years after, this still remains a mirage. This paper examines the cause for this untoward status-quo and proffers ideas as to how the drive towards the actualization of the ECOWAS as a viable, virile, economic bloc can be attained. There is a scarcity of published statistical analysis that examines the impact of economic integration schemes in Africa. This study fills the gap in the literature. The impact of Economic Community of West African States (ECOWAS) on trade flows of its member countries is examined applying an econometric analysis. The parameters of a multivariate trade-flows model are estimated using a panel data of the 1975 to 1991 period. The results suggest that the regional integration scheme has succeeded in increasing trade flows between member countries. The general view in the literature is that African integration schemes have failed to increase trade flows. Regional integration is a recurrent item in the development agenda of African policymakers. Most countries indeed participate into Regional Economic Communities (RECs) with the aim to achieve deep forms of integration, as for instance represented by a currency union. The entire project of a African Union has in these RECs its building blocs to realize continental political and economic institutions, including a common central bank. The purpose of this paper is to expand the literature by turning attention also to what happens in Eastern and Southern Africa, and in particular in the Common Market for Eastern and Southern Africa (COMESA). African countries have created many regional trade agreements with the economic objectives of reducing trade barriers and encouraging economic growth. The COMESA is an example of regional integration singed on 1993 by 19 African countries including Sudan. COMESA represents a chance for member countries to enhance their economic and social relations through increasing intra-trade. The objective of this paper is to assess the role of COMESA in promoting intra-regional agricultural trade between Sudan and COMESA countries. A multi-market model with Armington non-linear specification was applied. The paper results showed that there is a great potential for Sudan to increase its agricultural exports to other COMESA countries. Africa has a long tradition of regional cooperation, its trade and monetary integration schemes being the oldest in the developing world. This paper analyses the state of regional integration with respect to trade and financial relations in selected regional schemes in Central, Southern and West Africa. 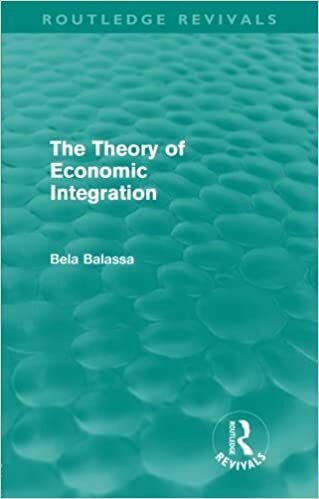 The paper concludes that in particular regional monetary integration offers advantages in terms of monetary stability, growth, competitiveness, deepening of financial markets and ownership compared with an indiscriminately integration of individual countries into the global economy. Thus, great significance must attached to cooperation between Member States. Although trade and financial integration can be mutually enforcing, a minimum level of regional activities is required to set this process in motion. Until the necessary threshold is achieved, Member States have a vital role in organizing and delivering regional activities, e.g. the development of bond markets or the promotion of production networks. Intra-African trade has enormous potential to create employment, catalyse investment and foster growth in Africa. Since gaining political independence in the 1960s, African Governments have made several efforts to exploit this potential of trade for development, the most recent being the renewed political commitment by African leaders at the African Union summit in January 2012 to boosting intraAfrican trade and to fast tracking the establishment of a continental free-trade area. By most accounts, African countries have not made significant progress in boosting regional trade. Over the period from 2007 to 2011, the average share of intra-African exports in total merchandise exports in Africa was 11 per cent compared with 50 per cent in developing Asia, 21 per cent in Latin America and the Caribbean and 70 per cent in Europe. Furthermore, available evidence indicates that the continent’s actual level of trade is also below potential, given its level of development and factor endowments. After seven decades of episodic existence through conferences, the Pan-­‐‑African project became permanently institutionalised with the founding of the Organisation of African Unity in 1963, with a qualitative upgrade into the African Union in 2002. Much academic literature on African integration and the OAU-­‐‑AU is pessimistic. Most media commentary is dismissive of the AU, and derogatory of the Pan-­‐‑African Parliament. This article seeks to trace the on-­‐‑going evolution of the OAU-­‐‑AU, and enquire how the AU stands up to contemporary regional organisations. This makes it focus on operationalised ground truth, rather than entities which exist mostly on paper. As a case study, the ECOWAS typifies an absence of effective judicial frameworks to strengthen, or, at least, complement, the integration of markets in the schemes of regional integration in Africa. Two decades since its creation, the Community Court of Justice of the ECOWAS has escaped scholarly analysis, creating a gap in the state of knowledge on regional integration in Africa. Accordingly, this thesis directs attention to the need to study the ECOWAS Court as a distinct actor within the contemporary international legal/political system, particularly in its role in the integration of the West African sub-region. Women and Regional Integration in West Africa: Which Way forward to attain Gender Equality? The prevailing view in policy circles is that landlockedness is bad for development because it reduces trade. This paper shows that other channels of transmission are likely to be important and, possibly, quantitatively larger and statistically stronger than the trade channel. One such channel is the quality of institutions. Using a system of structural equations and different estimators, the paper finds that landlockedness negatively affects the quality of institutions, which is in turn a fundamental determinant of per-capita income. By comparison, the evidence in support of the trade channel is surprisingly mild. This paper presents some new evidence on the development impact of the landlocked geographic status. The prevailing view in policy circles is that being landlocked causes a disadvantage in development because it makes trade more difficult and costly. However, the story might actually be more articulated than that. For one thing, this policy view is predicated on empirical evidence that is more controversial than what appears at first sight. For another, the isolation associated with being landlocked can affect economic development through channels other than international trade integration. With the advancement of information and communication technologies, supply chain integration has been considered a strategic tool for firms to improve their competitiveness. The supply chain integration within processes and between organizations has enhanced value creation. However, the fragmented nature of the business in developing country demonstrates a noticeable difficulty in terms of competitiveness and efficiency. Lack of a relevant literature on practical experience in supply chain integration in developing countries is one of the challenges. The purpose of this research is to identify the level of interorganizational and intraorganizational supply chain integration practices. It also analyzes the challenges faced in the manufacturing firms in developing countries. Why Is Inequality High in Africa? This paper computed asset-based inequality for 38 African countries in multiple waves, using over a million household histories, to study why inequality tends to be persistently high in Africa. The results show that within-country asset inequality is positively correlated with the returns to higher education, a finding that is corroborated by results showing a negative correlation between consumption-based inequality and the proportion of households that completed tertiary education. Countries with higher remittance flows also experienced lower inequality, whereas assets and goods market distortions tended to increase inequality in Africa. Is Africa experiencing a growth ‘miracle’? Rodrik (2018) seems sceptical, and provides evidence based on modern growth theory to support the scepticism: the recent relatively impressive growth does not seem sustainable. Related to the issue of sustainability is economic structure. Diao et al. (2018) find that accompanying the recent growth record has been improving agricultural labour productivity, a reduction of the agricultural labour share and increasing manufacturing employment, evidence that is consistent with that observed for industrialised economies. This paper computed asset-based inequality for 38 African countries in multiple waves, using over a million household histories, to study why inequality tends to be persistently high in Africa. The results show that within-country asset inequality is positively correlated with the returns to higher education, a finding that is corroborated by results showing a negative correlation between consumption-based inequality and the proportion of households that completed tertiary education. In clear-cut prose, Friedman examines the political and social histories of the large Western democracies particularly of the United States since the Civil War to demonstrate the fact that incomes on the rise lead to more open and democratic societies. Are there social, political and cultural factors in Africa which aspire to the continuation of patrimony and conspire against economic development? In Development as Freedom Amartya Sen explains how in a world of unprecedented increase in overall opulence millions of people living in the Third World are still unfree. Even if they are not technically slaves, they are denied elementary freedoms and remain imprisoned in one way or another by economic poverty, social deprivation, political tyranny or cultural authoritarianism. The Court of Justice of the Economic Community of West African States (ECOWAS Court), is, by its decisions, fast assuming the status of an alternative mechanism in a region typified by absence of effective national and regional judicial enforcement frameworks. 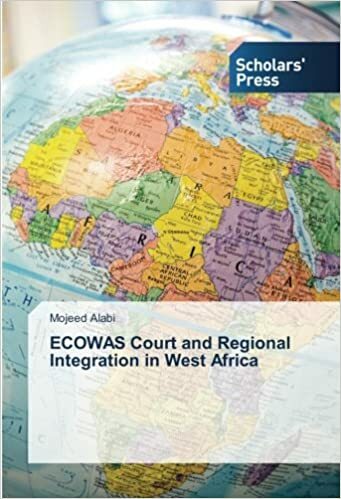 Mainly set up to strengthen, or, at least, compliment, integration of the West African region, the activities of the Court had escaped scholarly analysis, thereby creating a gap in the state of current knowledge about regional integration in Africa. 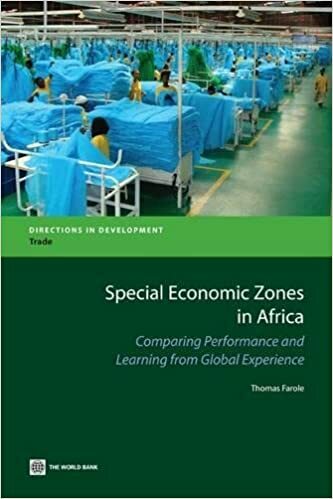 This book, designed for policymakers, academics and researchers, and SEZ program practitioners, provides the first systematic and comprehensive analysis of SEZ programs in Sub-Saharan Africa. It is the result of detailed surveys and case studies conducted during 2009 in ten developing countries, including six in Sub-Saharan Africa. Unleashed: A New Paradigm of African Trade in the world is a socio-political-economic discourse of how to rid African countries of the scourge of poverty. The suggested structural shift is based on African countries converting to export-oriented economies. The book discusses the subject through the lens of trade and development. The narrative is broken down into three sections. In the first section, the book looks at the main reason for the core challenges facing African countries. It reviews some historical context of Africa in global trade, including the dominance of western chartered companies in the medieval era. 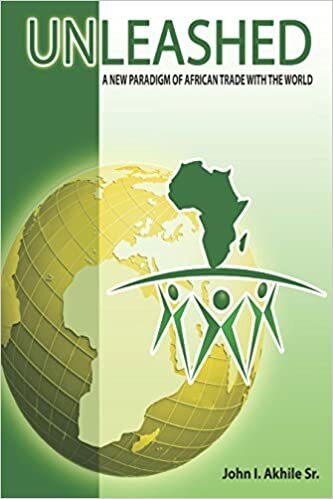 Based on migration dynamics in the Southern African Development Community (SADC) region, this edited volume focuses on the activities of grassroots and informal non-state actors. 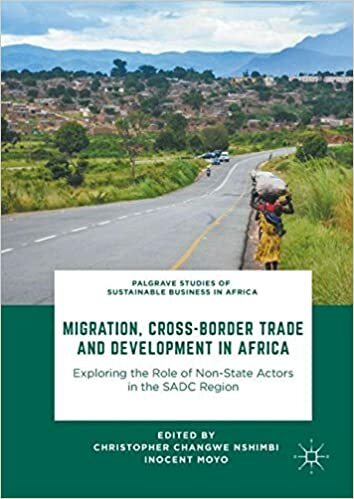 The authors explore cross-border economic activities, migration governance issues, the regional integration project of the SADC, and implications for sustainable development in Africa. Examining the apparent success of immigrant entrepreneurs operating in cities of economically depressed countries such as Zimbabwe, it also discusses the role of local authorities in managing migration to achieve development. 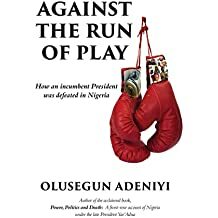 This is a story of Nigeria, told from the inside. 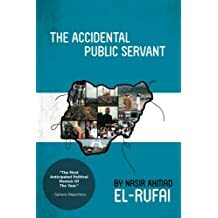 After a successful career in the private sector, Nasir El-Rufai rose to the top ranks of Nigeria’s political hierarchy, serving first as the privatization czar at the Bureau for Public Enterprises and then as Minister of the Federal Capital Territory of Abuja under former President Olesegun Obasanjo. Why are some nations more prosperous than others? 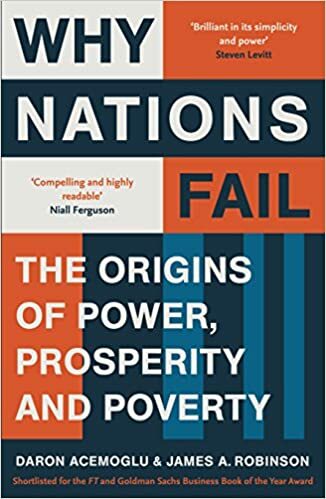 Why Nations Fail sets out to answer this question, with a compelling and elegantly argued new theory: that it is not down to climate, geography or culture, but because of institutions. Drawing on an extraordinary range of contemporary and historical examples, from ancient Rome through the Tudors to modern-day China, leading academics Daron Acemoglu and James A. Robinson show that to invest and prosper, people need to know that if they work hard, they can make money and actually keep it – and this means sound institutions that allow virtuous circles of innovation, expansion and peace.